Coming soon, a new Gornstock short story! Ever wondered how Gornstock was founded? Who discovered the Universal Collider? Well, your wait will shortly be over. I’ll be giving you details on how to get your hands on this very desirable item soon. This is an entertaining fast-paced detective story with interestingly flawed main characters. Sullivan ends up on the Rock of Gibraltar, via a secondment, having run foul of her superiors in the Met, while Broderick moved from London a few years previously through adverse personal circumstances. 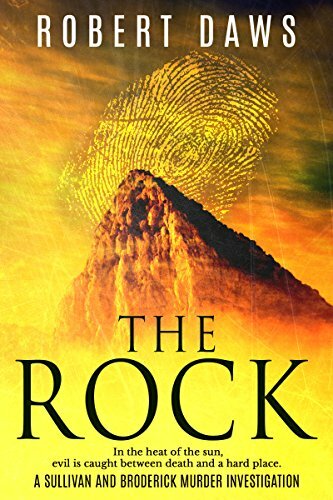 Murder comes to the Rock and it's down to world-weary Chief Inspector Broderick and D/S Sullivan to sort out the truth from the half-truth. The main characters both have an interesting back-story and this is drip-fed into the narrative so that you can feel the angst and injustices they have suffered. The prose has much to commend, it is well written and descriptive with flashes of humour interspersed throughout. Though the book is on the short side, it is one that is well worth a read. Congrats to the author on producing a debut novel that is both enthralling and entertaining. I will definitely read more of Sullivan and Broderick's detective adventures. I've decided to freshen up my books by giving them shiny new covers. Although I loved the old ones, I thought it was now time for a change. The cartoon characters are taking a well earned rest and are probably at this moment raising a glass in the Stoat and drinking to their success. I hope you like the new ones, and here they are. By the way, you can pick up Banker's Draft for FREE at the moment! Well, I’ve finally done it! Published, that is. Scooters Yard is now out and about and hitting the internet. It’s been quite a long haul and took far longer than I expected but I got there eventually. I’m pleased with how it turned out and I hope that you will be too. A radical move ruffles more than a few feathers. The introduction of female officers into the Police Force has an effect that Commander Jethro MacGillicudy wasn’t intending — someone isn’t happy. A Watch-House mysteriously catches fire, a cart carries a strange load and there’s a neatly folded pile of clothes. MacGillicudy joins forces with Cornwallis, Frankie and Rose to dig out the truth: a truth which has consequences, a truth which runs too close to home for comfort, a truth which must be discovered before it’s too late. 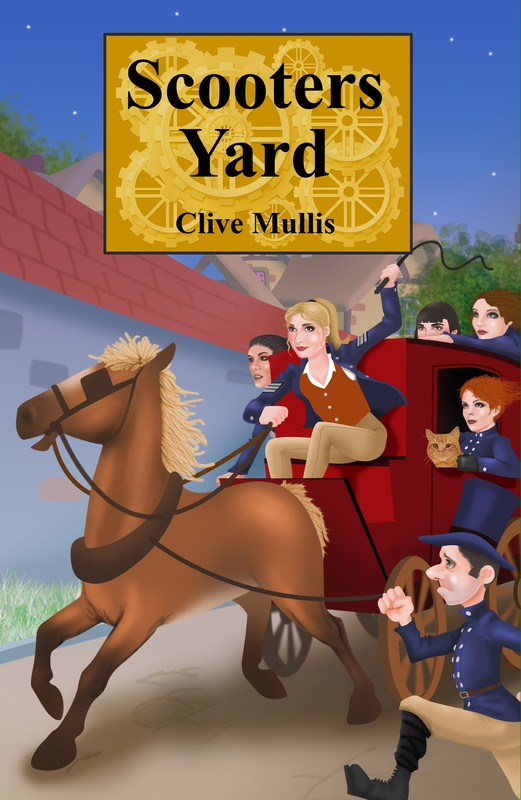 Another visit to Gornstock and its inhabitants as the crime-solving team seek out the not-so-good guys with the help of a cat and twelve very eager girls. Well, here it is. The cover for my new book. Hope you all like it as much as I do! Scooters Yard will be out on 9th of May! If anyone wants to be an ARC reader then please get in contact via the “contact me” form with an email address and preferred format. Thanks all. Seeing as I will have a new book coming in the next few weeks, I thought I’d put Banker’s available for free to the discerning masses. It’s just for a couple of days at the mo, today and tomorrow… 5th and 6th April. So whizz over and grab a great freebie on me! Ever had problems with grammar? I know I have. I can’t say I’ve solved my problems, but there is help out there if you know where to look. This is a site that I regularly turn to and it might be one to help you too. If you can’t figure out your “m” dash from your “n” or your comma from your splice, take a look and play with the exercises — it might just improve your writing.